A man in London appears to be free of the AIDS virus after a stem cell transplant, the second such success, doctors report. An HIV-positive man in Britain has become the second known adult worldwide to be cleared of the virus that causes AIDS after he received a bone marrow transplant from an HIV-resistant donor, his doctors said. 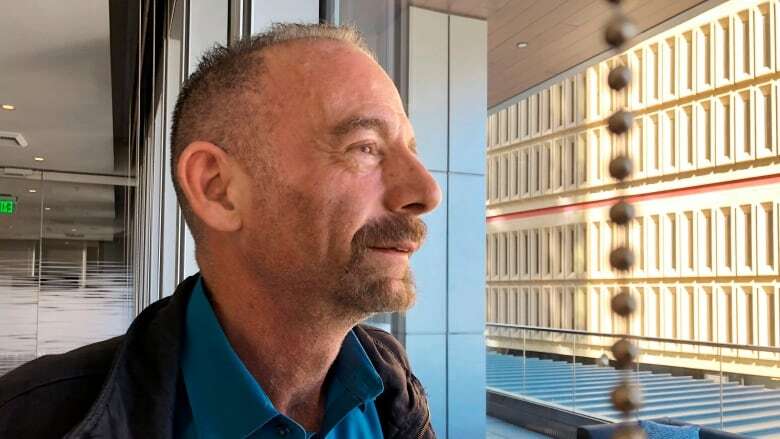 The therapy had an early success with a man known as "the Berlin patient," Timothy Ray Brown, a U.S. man treated in Germany who is 12 years post-transplant and still free of HIV. Until now, Brown was the only person thought to have been cured of infection with HIV, the virus that causes AIDS. In the latest case, the man known as "the London patient" has no trace of HIV infection, almost three years after he received bone marrow stem cells from a donor with a rare genetic mutation that resists HIV infection — and more than 18 months after he came off antiretroviral drugs. biologist who co-led a team of doctors treating the man. AIDS experts said the case is a proof of the concept that scientists will one day be able to end AIDS, and marks a "critical moment" in the search for an HIV cure — but it does not mean that cure has already been found. Gupta described his patient as "functionally cured" and "in remission," but cautioned: "It's too early to say he's cured." Some 37 million people worldwide are currently infected with HIV, and the AIDS pandemic has killed about 35 million people since it began in the 1980s. Scientific research into the complex virus has in recent years led to the development of drug combinations that can keep it at bay in most patients. Gupta, now at Cambridge University, treated the London patient when he was working at University College London. The man, who has asked to remain anonymous, had contracted HIV in 2003, Gupta said, and in 2012 was also diagnosed with a type of blood cancer called Hodgkin's lymphoma. In 2016, when he was very sick with cancer, doctors decided to seek a transplant match for him. "This was really his last chance of survival," Gupta told Reuters. Doctors found a donor with a gene mutation known as CCR5 delta 32, which confers resistance to HIV. About one per cent of people descended from northern Europeans have inherited the mutation from both parents and are immune to most HIV. The donor had this double copy of the mutation. That was "an improbable event," Gupta said. "That's why this has not been observed more frequently." The transplant changed the London patient's immune system, giving him the donor's mutation and HIV resistance. The patient voluntarily stopped taking HIV drugs to see if the virus would come back. period of "graft-versus-host" disease — a condition in which donor immune cells attack the recipient's immune cells. Most experts say it is inconceivable such treatments could be a way of curing all patients. The procedure is expensive, complex and risky. To do this in others, exact match donors would have to be found in the tiny proportion of people who have the CCR5 mutation. "Although this is not a viable large-scale strategy for a cure, it does represent a critical moment," said Anton Pozniak, president of the International AIDS Society. "The hope is that this will eventually lead to a safe, cost-effective and easy strategy ... using gene technology or antibody techniques." disease may have been just as important. Both the Berlin and London patients had this complication, which may have played a role in the loss of HIV-infected cells, Gupta said. His team plans to use these findings to explore potential new HIV treatment strategies. "We need to understand if we could knock out this [CCR5] receptor in people with HIV, which may be possible with gene therapy," he said. Brown, the Berlin patient, said he would like to meet the London patient and would encourage him to go public because "it's been very useful for science and for giving hope to HIV-positive people, to people living with HIV," he told The Associated Press Monday. The case was published online Monday by the journal Nature and was to be presented at an HIV conference in Seattle Tuesday.